Joseph William Laufenberg Jr. passed away peacefully with his wife Laura at his side on April 1st, 2018 at his home in Thornton, New Hampshire. He was born on September 28, 1946 in Trenton, New Jersey to the late Dr. Joseph William and Erica (Baumgartner) Laufenberg Sr. Joseph was their eldest son and is survived by his brother Walter and was predeceased by his sister Ellen. 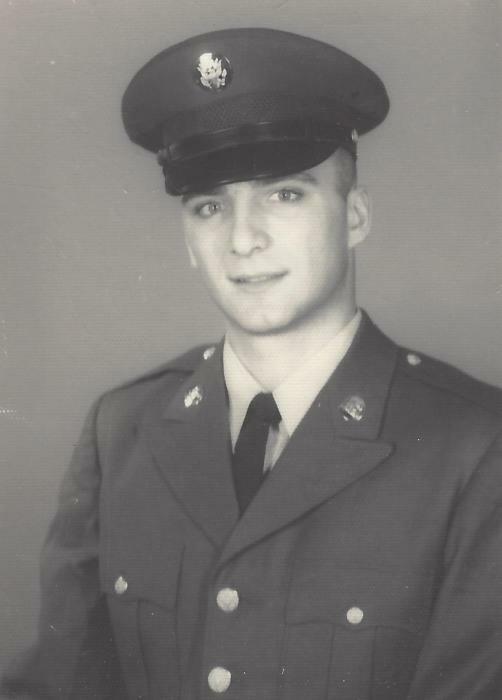 Joe was a proud U.S. Army Veteran, serving from 1966 to 1968 as a Sergeant in the 7th Army, 1st Battalion, 81st Artillery; a Pershing Missile Battalion stationed in Germany at the height of the Cold War. An iron worker by trade, Joe worked for United States Steel, Bechtel, American Bridge, and Perini corporations. During his tenure as a tradesman he erected bridges, schools, high rises, and later in his career specialized in supervising and constructing nuclear power plants throughout the east coast. He and his family moved to Thornton in the early 1980’s as the owners and operators of the Gilcrest Motel and have made Thornton their home ever since. Joe was an avid car enthusiast, owning and customizing many muscle and high performance cars throughout his lifetime. He enjoyed his summers boating, fishing, and relaxing with Laura, his sons, and their families, as well as friends on Squam Lake. He spent his falls hunting the woods of northern New Hampshire and Maine with his close friends. He was most proud of raising his sons in New Hampshire with Laura. He cherished his time spent with his family and close friends. Joseph is survived by his beloved wife of 49 years, Laura A. Laufenberg. His sons; Joseph W. Laufenberg III (Elizabeth) of Johnson City TN, Neil P. Laufenberg (Gina) of Old Greenwich CT, and Peter A. Laufenberg (Ashley) of Campton NH, and his grandchildren, Kyle, Mary, Gage, Paul, Thomas, Henry, and Genevieve. To honor his life, family and friends will gather to pay their respects on Tuesday, April 10th from 5 to 7 pm at Fournier-Hale Funeral Home in North Woodstock, NH. A Mass of Christian Burial will be held on Wednesday April 11th at 10am at St. Joseph’s Roman Catholic Church in Lincoln NH. Interment will follow at Pine Grove Cemetery in Thornton NH. In lieu of flowers, the family requests that donations be made in his name to Pemi-Baker Hospice either online or mailed to 101 Boulder Point Drive, Suite 3 Plymouth, NH 03264.